The smart home is a residential platform, which integrates facilities related to home life with integrated wiring technology, network communication technology, security technology, automatic control technology, audio and video technology, and builds an efficient management system for residential facilities and family schedules to improve home security, convenience, comfort and artistry, to realize a environmental and energy-saving living environment. Since 2014, major manufacturers have begun to densely arrange smart homes. A large number of domestic smart home brands have risen rapidly, pushing the smart home industry into an outbreak. 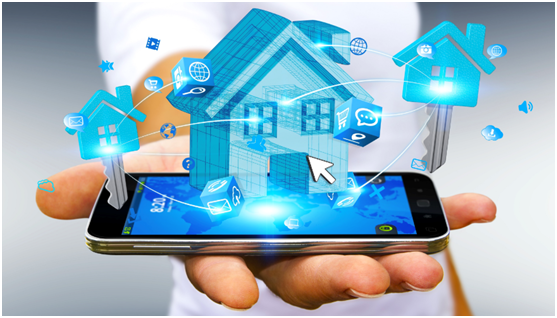 The rapid development of smart homes has promoted the iteration of technologies such as the Internet of Things and artificial intelligence, thus achieving the continuous upgrading of smart home control forms. The control terminal is the link between the base station and the local telephone, and is the monitoring and command center of the entire system. Many smart home manufactures think that the basic condition of intelligent products is from manual control to terminal control. The appear of smart phones are serve as the most appropriate controlling terminal. So they let their products can be controlled by the phone, relying on this point to sale their smart home. Such as air conditioners and mobile phones become smart air conditioners, TVs and mobile phones become smart TVs and so on. For many products, there is no need for cell phone control to be smarter than without cell phone control. Many times, we force users to control home appliances through their mobile phones, but they will make users tired of intelligence. This also shows that the user is not satisfied with the terminal control, eager for a more simple and intelligent control method.